June 2012. 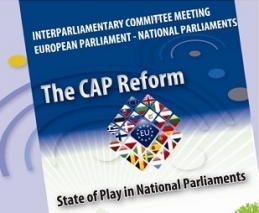 An important month for the political debate on the reform of the CAP, and a very exciting month for the ARC2020 network as our 2012 campaign gets bigger and bigger! Following the release of our Call for Action for the Good Food March back in May, we have had a huge response, with over 50 organisations across Europe now involved! A full list can be seen on the new official GOOD FOOD MARCH website which was launched on June 19th. The site provides a map with initial routes and events, a live twitter feed, a March Newsticker, logos, banners, and much much more. If you have an event you’d like to organise as part of the March, please let us know at info@goodfoodmarch.eu and we will add it to the map. The site also features our new photo campaign known as THE CAP WE WANT! The initiative gives ANYONE the opportunity to express their demands for farming and food policy in the EU. We will take all of the messages with us to Brussels and present them to the EU institutions when we arrive on September 19th. It’s simple. Just write your message, name and country on an A4 piece of paper, find a great background, get a friend to take a (landscape) photo of you and then send it to us at photo@goodfoodmarch.eu. We will also be at the civil society conference being organised by the EU Commission on July 13th ready to take more photos. If you are going to be there, keep an eye out for us! With mobilisation for the March now well underway, we have started to visit organisations across Europe to discuss how they can get involved. We visited Romania and Hungary, and were overwhelmed by the response. I have heard similar stories from our Campaigns Coordinator, Stephanie Roth, who has also travelled to Spain, Bulgaria and Greece. This month also saw our first Speakers Tour with a farmer from Kenya, a farmer from the US and a farmer from the Netherlands travelling through Europe to talk about and discuss the international impact of CAP. A highlight of the tour was a public discussion round held in Brussels on June 20th: 3 farmers. 3 continents. 3 perspectives. P.S. If you haven’t already, don’t forget to like our facebook page! 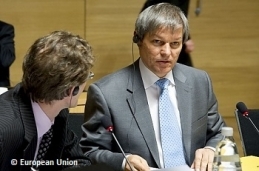 An Interparliamentary Committee Meeting was then held between the European Parliament and representatives of national Parliaments on June 25th. This meeting forms part of the new joint decision process, with national representatives providing input into the next legislative steps following the release of the draft reports. Other key decisions this month include Council Conclusions on animal welfare and Commission approval of programmes to promote agricultural products. Find all news from Brussels here. As the Danish Council presidency draws to a close, European Agricultural Ministers came together in Luxembourg on June 18th and 19th. A central part of the event was the presentation of a Progress report on the CAP reform by Mette Gjerskov, Council President. The report provides an update on the reform so far and outlines the next steps in the process under the Cypriot and Irish Presidencies. The debate on direct payments was seen as the most detailed, with further work to be done on other aspects of the CAP. Key achievements identified in the report were simplification, greening and increased flexibility in the implementation of the future CAP, taking account of diverging situations across Member States and also of differences between regions and types of farming within them. Also on the agenda was a public debate on the specific issue of rural development within the framework of the CAP reform, protection of sows, the G20 agriculture meeting in Mexico, the impact of anti-microbial resistance, a report on organic production and the market situation for milk and milk products. The Council also adopted conclusions on a new animal welfare strategy. 1. 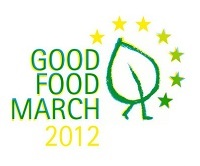 Official Good Food March website now LIVE! Romania: Are the cows now coming home?